Wear your spirit from head to toe with these Grey Player Mens Crew Socks. 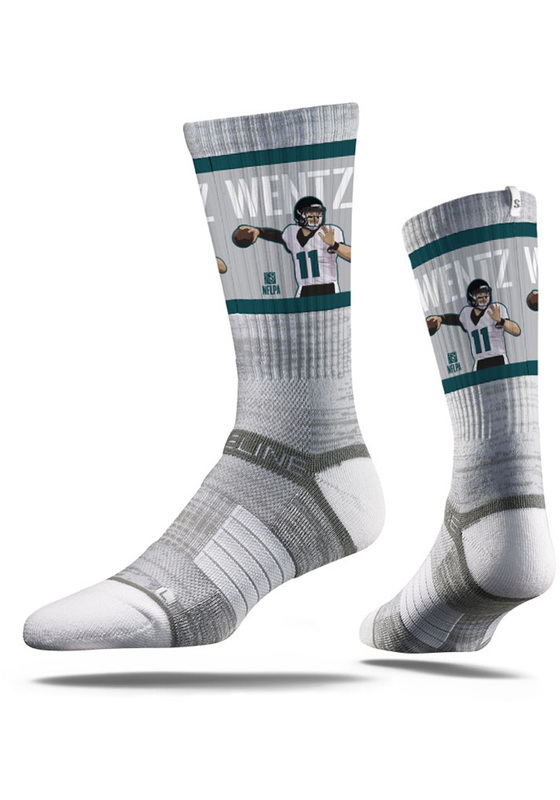 These Mens Crew Socks feature a sublimated player design on the ankle. Got the socks for Christmas. Great fit and very comfortable. I'm going to buy a couple more pair. I guess I will need to buy a pair of UCM shorts to better show off the socks. Can't beat these socks! Love the quality and look. Bought these for my son, not because he's a Drexel fan, but just because they are cool! Turns out it's a great sock too. We are same shoe size, so I borrow every once and a while ;-) Plan on buy more. Love these socks! Perfect for the Irish season, but being Irish anyway I will rock these all year long! Nice socks. They fit good and are comfortable. I only wish they were over the calf style. As these were crew style. Strideline socks are the best! They fit really well (I wear a size 9 in women's) and even if I had small feet I'd still get more. They seem to kind of tailor to whatever size without being too tight on big feet. Plus they're warm. I've had a few pair for over a year now. They didn't get little fuzzies on them until 2 or 3 months in and they'll probably last at least another year the way they're holding up now. Definitely recommend these socks that support the team I love, support my foot warmth, and last a long time. The most comfortable sock I've ever worn. I have multiple pairs and I am where them just about everyday. Can feel a little tight at first, I have a size 13 foot, but they break in nicely and don't wear down. Every time I give somebody a pair of license sports apparel socks they love them. It seems like such a great gift.